Time to get covered with a blanket of…photos. I have a bunch of shots on white rhododendron blossoms, so I thought this might be a good time to break them out. (Technically, I started yesterday, but I just decided to go for the “white”-out.) We’ll start with this tumbling flower beetle (family Mordellidae). This shot inspired me to create a monochrome version. I processed a color version too (after the jump), but I’m not sure which one is better; they both have pluses and minuses. 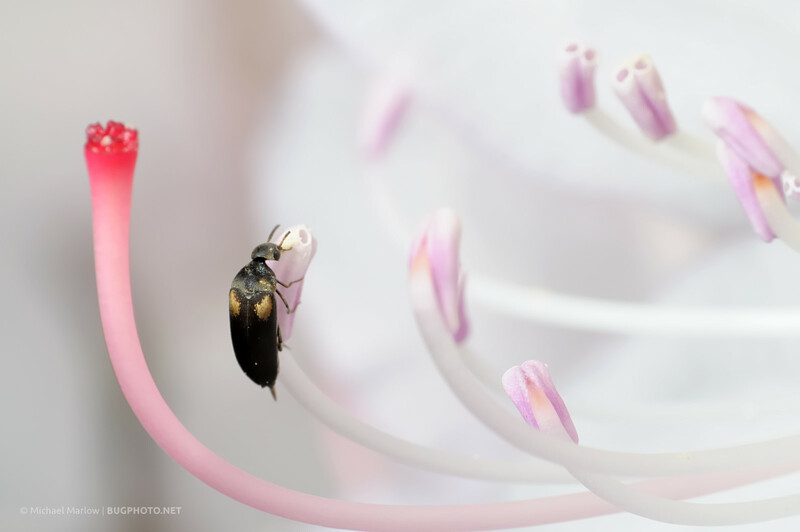 A tumbling flower beetle feeds on an anther of a white rhododendron flower. 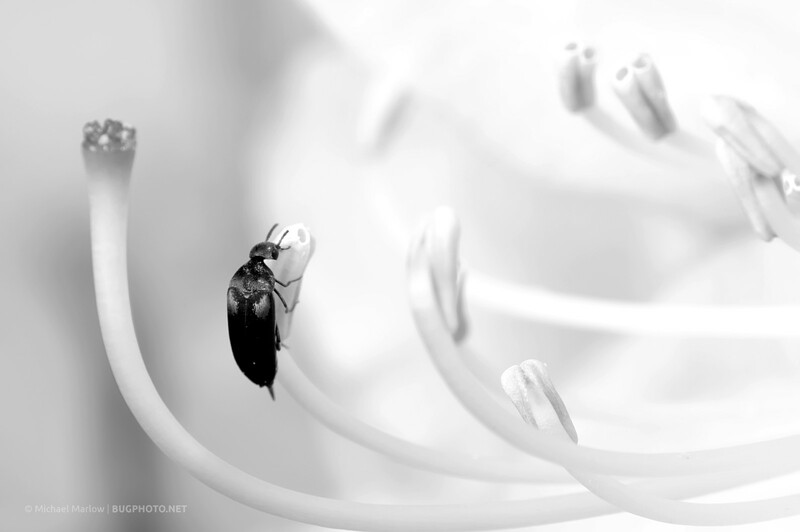 Posted in ColeopteraTagged anther, black and white, Macro Photography, monochrome, Mordellidae, rhododendron, tumbling flower beetleBookmark the permalink.